Have you ever seen the 1960s cartoon series The Jetsons? It may have been a silly cartoon, but some of the imagined innovations remain appealing, even to adults. Flying cars seem so helpful, but there were also little details like dinner at the press of a button and helpful robots or machines to handle the day to day chores. After all, what parent hasn’t wished for laundry that would fold itself? While technology is advancing by leaps and bounds, most of us could still use an extra set of hands to get the house clean, the laundry done, and dinner on the table. Whether on a weekly basis or just for a special occasion, hiring professional cleaning services is a great way to get that extra help you need. However, we are also talking about letting a stranger into your home, so before you dive in, it’s important to take a few safety precautions. 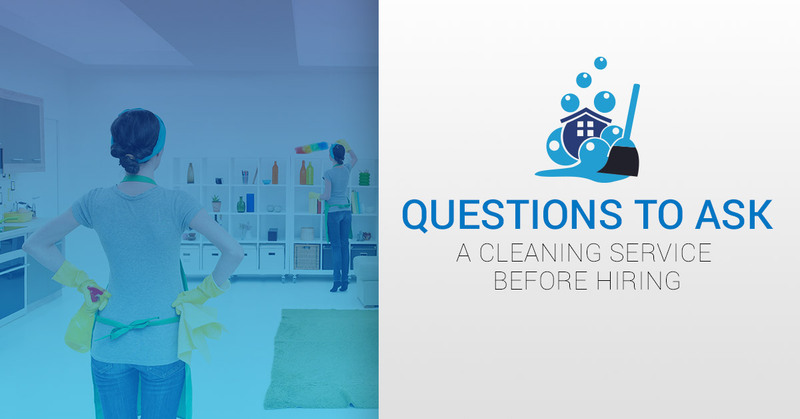 Before you hire an individual or a professional house cleaning service, start by asking a few important questions. House cleaners often charge by the hour, by it’s not uncommon to come across professional cleaning services that charge by the project or charge a flat fee based on the number of cleaners sent. During this conversation, it’s also important to ask what will happen if time is up and the work isn’t done, or how you’ll be charged if a project takes longer than expected. Ask if you can include a “not to exceed this price” clause in your agreement if you’re looking to keep strictly to your budget. How do you verify employees? Before you invite anyone into your home, especially a cleaner who will be working in every room of your house, you want to be as sure as you can that a home cleaning service is trustworthy. Often, the big difference between hiring an individual and a professional cleaning service is that the service will run thorough background checks on every employee before they are hired. If you choose to hire an individual, it’s worth it to pay for the background check yourself. It’s always a good idea to check your renters or homeowners insurance policy and see what the coverage is for damage or theft. However, if something goes missing after a cleaner has been at your house, getting your insurance to cover it can be tricky. Professional cleaning services typically carry insurance to provide additional protection and reassurance. If you’re working with a home cleaning service, this is also a good point to ask whether they carry workers’ compensation to protect their employees (and to protect you from that liability). Who is responsible for cleaning equipment and supplies? It’s a fairly even split in terms of how most housekeeping services will do this. Some cleaners have preferred equipment and cleaners, while some prefer to use whatever is available in the home. If you have allergies or skin sensitivities, this is the time to speak up about certain cleaning solvents. This is also a great time to mention if you want to stick to only eco-friendly cleaning products. In both of these instances, however, you should be prepared to provide all of the necessary cleaning supplies. What do I do with my pet(s)? A couple of birds who primarily stay in a birdcare aren’t much of an issue, but if you have dogs or cats that roam the house all day, that can be more of a concern when hiring cleaning services. You’ll need to discuss preferences with the cleaning service. Often, the answer is to have the cleaner over to meet your pets before they begin work, but if your pet is skittish or doesn’t take to strangers well, that may be a good day to schedule some time at a doggy day camp. Here at Clean Away Maids, we want to be sure you feel comfortable with all of our home cleaning services. We strive to always be a thorough, reliable, and friendly house cleaning service, and we are happy to answer any questions you might have. 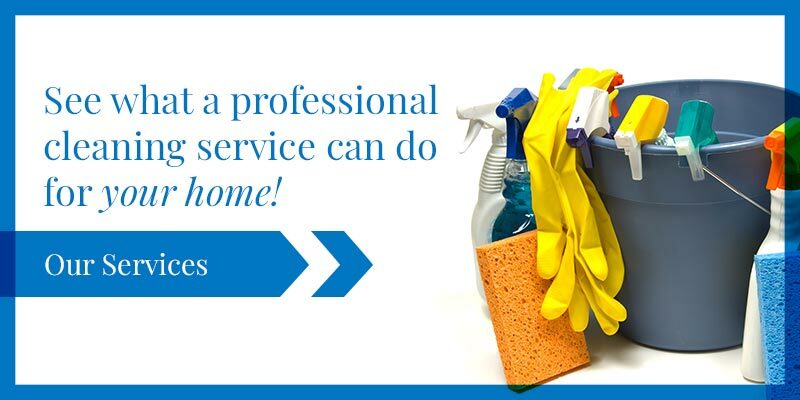 Give us a call today to learn more and schedule your Greensboro cleaning services!